Inès Armada is a law graduate (Complutense University, Madrid 2004-2009). As a lawyer at the Bar in Madrid, she has worked in a law firm specialising in criminal law. She then obtained a Master’s in international law (Complutense University, Madrid) and an LL.M. in European law (College of Europe, Bruges). Having done an internship at the European Parliament, she became a PhD/researcher at the VUB and at the ULB, under the joint supervision of Professor De Hert and Professor Weyembergh. She is also a member of the European Criminal Law Academic Network (ECLAN). In 2016, she did an academic internship at Eurojust. Her PhD research deals with the issue of obtaining and using crossborder evidence in the European Union. She focuses on the use of available judicial cooperation instruments by focussing on the issue of the admissibility of evidence obtained via special investigation techniques. 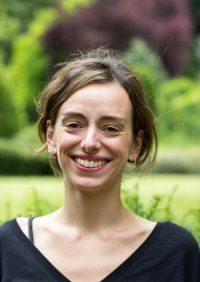 As part of her research, Inès has done an internship at Eurojust, within the Secretariat of the ECE network and the Legal Service of Eurojust (The Hague, 1 March to 31 July 2015). During her internship, Inès completed legal analysis on the processing of files; she took part in drafting a manual of good practices for practitioners; she did research and legal analysis on legal and political issues; she followed and prepared reports on ongoing negotiations; she contributed to the organisation and implementation of strategic meetings, conferences and seminars; finally she attended coordination meetings of the coordination centres and meetings of the network of national experts on the ECEs. As a member of the ECLAN team, Inès Armada is involved in all its activities, which includes research, preparing projects, updating its website, drafting an ECLAN newsletter, organising a Summer school, drafting minutes of meetings of the management board, organising conferences etc. Course on ‘Méthodologie de la recherche et de la rédaction en droit pénal’, under the supervision of Professor Weyembergh, Université Libre de Bruxelles, academic year 2015-2016. Course on ‘Négociations européennes’ under the supervision of Professor Crespy, Université Libre de Bruxelles, academic year 2014-2015. Course on ‘From classic judicial cooperation to mutual recognition’, with Professor Weyembergh and Kasper Vander Schaft, ECLAN Summer School 2015. Course on ‘Mutual legal assistance’, Vrije Universiteit Brussel, April 2015. TFE by Laura Núñez, ‘Criminal penalties and the EAW’, under the supervision of Professor Weyembergh, Université Libre de Bruxelles, academic year 2015-2016. TFE by Elza Bacic, ‘Les équipes communes d’enquête’, under the supervision of Professor Weyembergh, Université Libre de Bruxelles, academic year 2014-2015. Internship at Eurojust, The Hague, 1 March to 31 July 2015 (see above, research activities). Legal opinion at the request of the Cabinet d’avocats Juscogens for the Chambre des mises en accusation de la Cour d’appel de Bruxelles, ‘Sur les effets du non-lieu provisoire en droit espagnol et ses conséquences pour l’application du principe ne bis in idem’, with Professor Weyembergh, June 2014. (Français) The European Investigation Order and the lack of European standards for gathering evidence: Is a fundamental rights-based refusal the solution?